본 연구는 기업 루머 상황에서 등장하는 토픽이 채널종류에 따라, 그리고 위기 커뮤니케이션 단계별로 어떻게 변화하는지 살펴보았다. 이를 위해 2017년 8월 9일부터 2017년 12월 31일까지 실제 기업 위기 사례인 깨끗한나라 생리대 유해성 논란 이슈와 관련된 보도기사 및 트위터 게시물에 대해 텍스트마이닝 기법, 구체적으로 예측변수 효과를 통계적으로 테스트할 수 있는 구조적 토픽 모형(STM, structural topic model; Roberts et al., 2016)을 적용하였다. 분석에 사용한 예측변수는 ‘사건의 진행 단계’와 ‘채널의 종류’였다. ‘사건의 진행 단계’는 이슈 흐름 변화에 영향을 미친 특정 사건을 기준으로 급성, 만성, 해결 등 3단계로 나누었으며 ‘채널의 종류’는 언론사와 트위터로 구분했다. 연구 결과, 토픽들은 각 시기별 주요 사건과 이슈를 잘 반영한 것으로 나타났다. 이슈 확산 초기인 급성 단계는 깨끗한나라 생리대 유해성에 대한 불안감에 초점이 맞춰진 토픽들이 주로 등장한 반면, 만성 단계는 여성환경연대 실험 공정성에 의문을 제기한 이슈 흐름 변화가 반영된 토픽이 주로 등장하였다. 깨끗한나라의 공격적 위기 커뮤니케이션이 시작된 해결단계에는 새로운 토픽들이 추가 등장하면서 급성 단계 커뮤니케이션 상황과 다른 토픽들이 등장하였다. 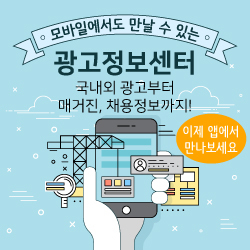 또한 언론사와 트위터 등 채널의 종류에 따라 등장하는 토픽 변화도 발견할 수 있었다. 연구 결과를 토대로 PR 커뮤니케이션 관점에서 바라본 기업 위기 커뮤니케이션에 대한 이론적·실천적 함의를 논의했다. This study examines how the topics change under the corporate rumor situation by the type of channel and by the crisis communication stage. To address this research question, we discussed social controversies over sanitary pad produced by Kleannara from August 9 to December 31, 2017. Newspaper articles and Twits related to this issue were analyzed using text mining techniques, specifically structural topic model (STM; Roberts et al. 2016), which can statistically test predictive variables effects. The predictive variables used in the analysis were ‘stage’ and ‘channel’. ‘Stage’ was divided into three stages, ‘acute’, ‘chronic’, and ‘resolution’ based on the specific event that affected the flow massively, while ‘channel’ was classified as institutional media and Twitter. The research results showed that the topics well reflected the major events and issues of each period. At the acute crisis stage which is the issue spreading stage, topics mainly focused on the anxiety about the sanitary pad. Howerver the topics of the chronic crisis stage showed a change in issue flow by raising the questions on the fairness issue of the experimentation conducted by Korean Women’s Environmental Network. At the crisis resolution stage, when Kleannara started its aggressive crisis communication, new topics were added and they appeared totally different from the acute crisis stage. In addition, we could find the topic change that appeared depending on the kind of channel such as institutional media and Twitter. Based on the results of the research, this study discussed the theoretical and practical implications of crisis communication from the perspective of PR communication.